2019 Preview: Everything will be the same with the No. 18 team in 2019. Adam Stevens will once again call the shots onto the pit box and Mars Candy signed a long-term deal to sponsor the car. 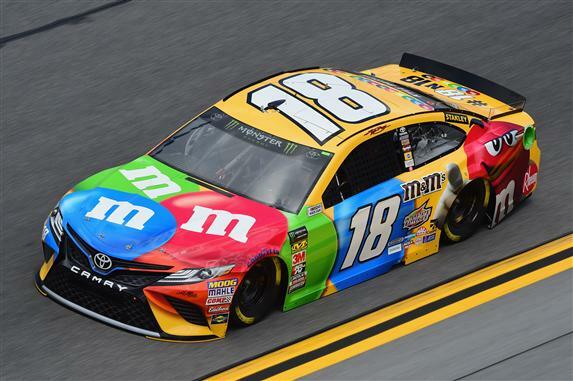 The only change for Kyle Busch will be within the Joe Gibbs Racing organization. Busch will now have Martin Truex Jr. as a teammate. If these two drivers can put their egos aside and work together, they should be able to dominate the Cup Series this season. Kyle Busch gets the No. 1 spot in my rankings because Toyota has had three seasons to work with the Camry, while Ford will be debuting the new Mustang chassis at Daytona. The new car could set Kevin Harvick back a notch, so Busch gets the top spot. Either way, both drivers will be the top picks in Fantasy NASCAR in 2019.